Involvement AIF WW1, Sapper, SN 8271, 1st Tunnelling Company (inc. 4th Tunnelling Company), "The Last Hundred Days"
Help us honour Charles Barrett's service by contributing information, stories, and images so that they can be preserved for future generations. Charles Barrett was part of a 1 Tunnelling Company detachment supporting the British Army's assault crossing of the canal, when he was killed in action on 4 Nov 1918. He was among the last AIF KIA and arguably the easternmost on the Western Front. Born in Adelaide, South Australia, Charles Barrett attested for ‘Service Abroad’ on 2 July 1917 at Blackboy Hill, Perth, Western Australia. A single Labourer aged 43 at the time, he gave his Postal Address as Great Western Hotel, Perth. Charles named his sister, Mrs. Jessie Weston, of Adelaide, as his Next of Kin. He advised that both his parents were deceased and that his Will records his sister as his sole beneficiary. Just 5ft 5in tall and weighing 140lbs, Charles had a fair complexion, blue eyes and fair hair. He trained at the Broadmeadows Camp, Victoria, between 24 August and 1 October when he was transferred to the Bendigo Camp before embarking from Melbourne on 26 November 1917 on board SS Indarra. Disembarking at Suez on 27 December 1917, he embarked on HMT Kashgar at Port Said on 9 January 1918, disembarking at Taranto on 20 January. Charles then entrained on 24 January for a weeklong train trip to Cherbourg, de-training on 31 January. At Cherbourg he embarked on board HMT ‘Monas Queen’ on the 31st, finally disembarking at Southampton, England on 2 February 1918. Charles continued training at Parkhouse Camp until he proceeded overseas to France on 2 April. Taken on strength of the 1st Australian Tunnelling Company on 16 April, Charles was in hospital at Rouen with severe inflammation of connective tissue in the hip and thigh on 26 April. He was evacuated to the Exeter War Hospital in England on 5 May, and eventually moved to the 3rd Auxillary Hospital, Dartford on 12 June. Discharged from hospital on 14 June, Charles was again sent overseas to France on 2 October and rejoined the 1st Aust. Tunnelling Coy on 6 October. Although advertisements were placed in the press, his sister could not be located by late July 1918 and so could not be advised of his situation. 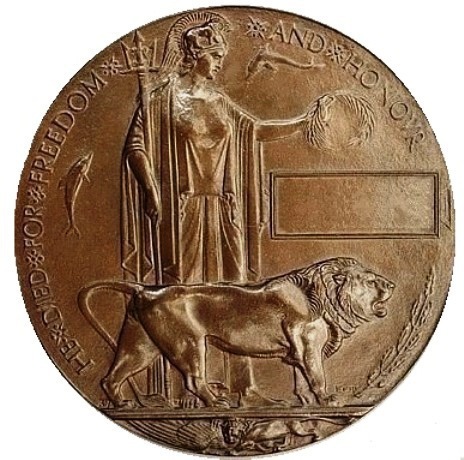 On 5 September 1921, the British War Medal of 8271 Sapper Charles Barrett was sent to the ‘untraceable’ section. 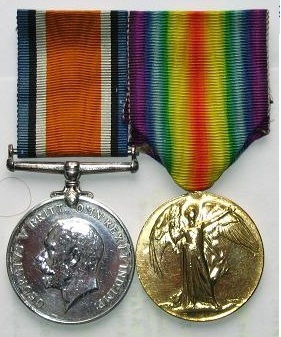 The Victory Medal earned by Charles Barrett was never prepared for issue. On 28 November 1922, the Memorial Scroll and Memorial Plaque prepared to commemorate the sacrifice of Charles Barrett, along with the ‘Where the Australians Rest’ pamphlet, were all sent to the ‘untraceable’ section.